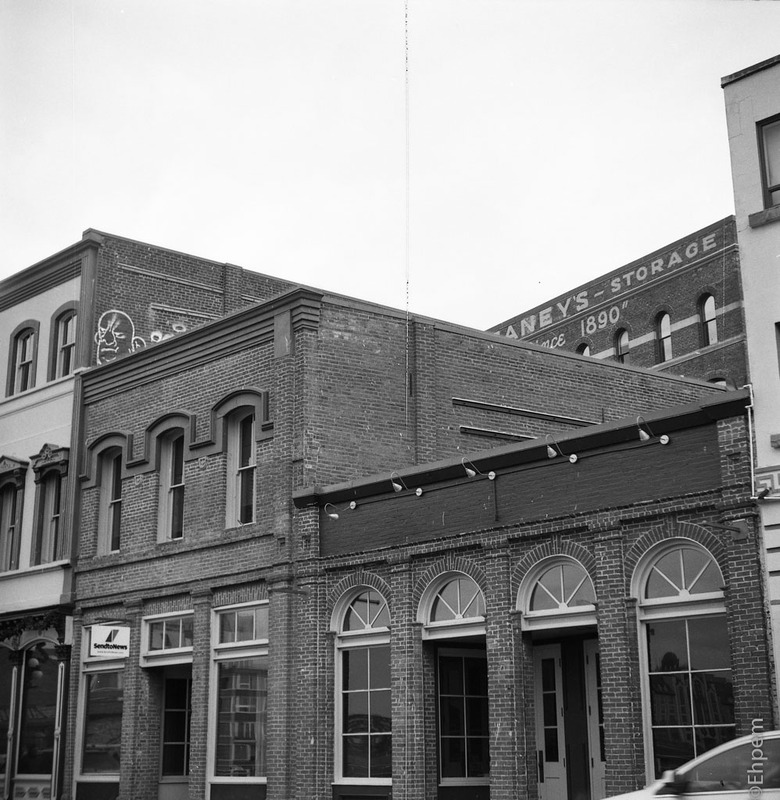 These are the rest of the images from my first roll through the Yashica 44. 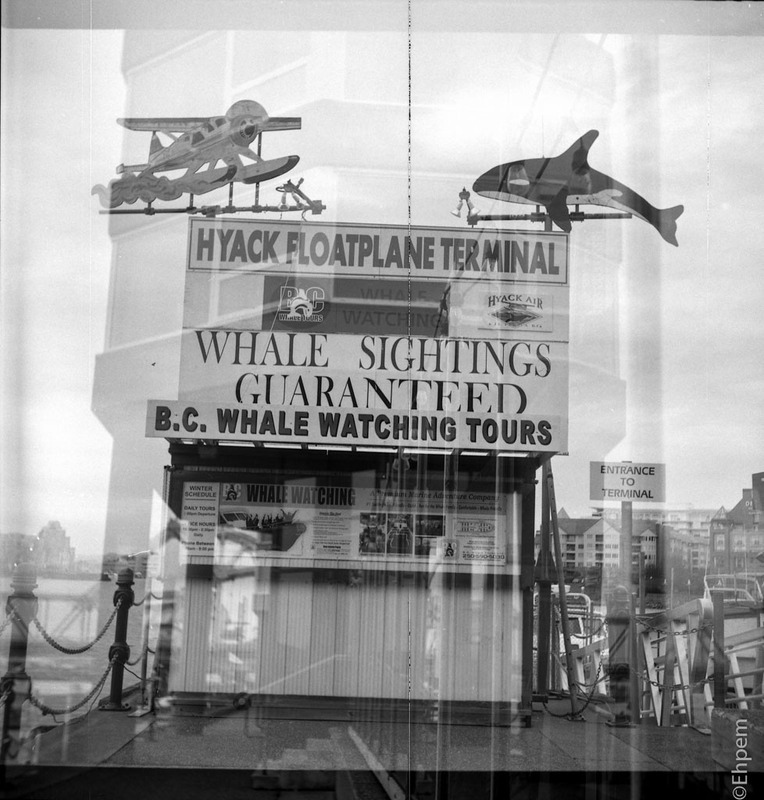 As I explained yesterday (here) I did not load the film correctly, hence the scratch on many images – the second roll was loaded correctly and has no scratches. The first shot above is an unintentional double, a risk that is always present with this camera as it has no lock if a frame has been exposed. These buildings on Wharf Street often pull my attention because of the depth provided by the background building. 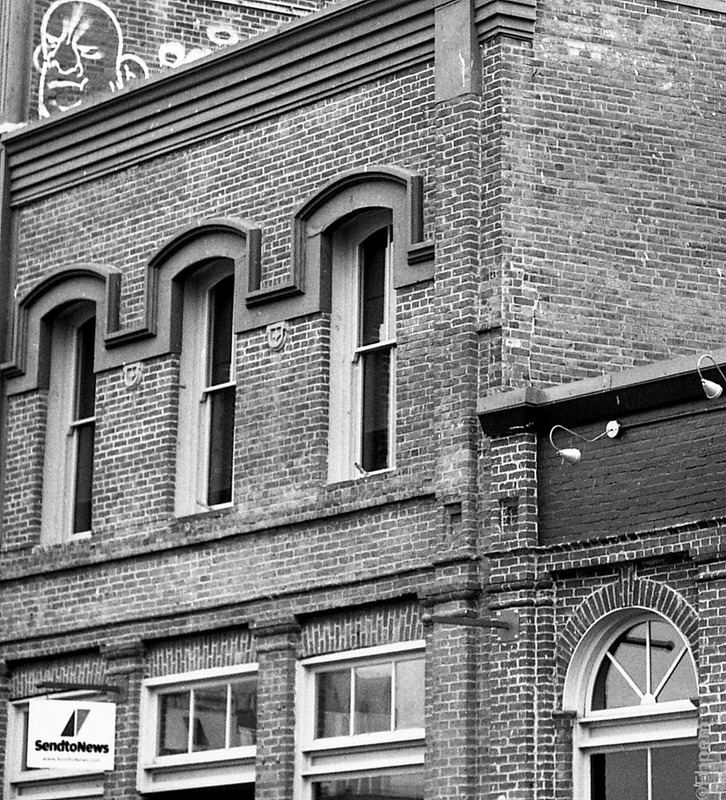 Below is a crop from the same shot to show how sharp the negative is. 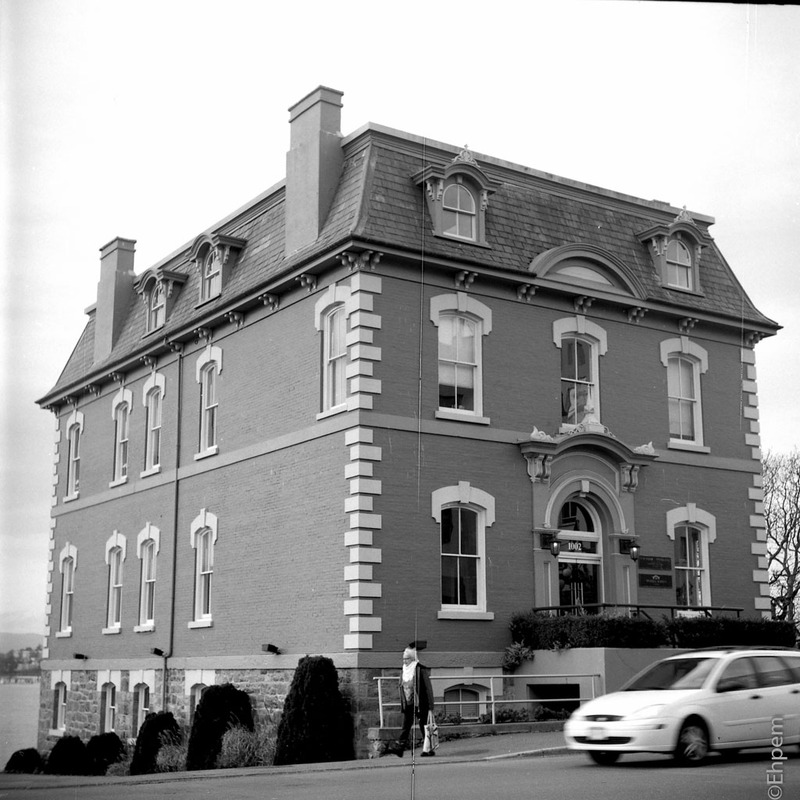 The old customs house on Wharf Street – with clear evidence of the deficiencies of my ad hoc scanning mask on the edges. 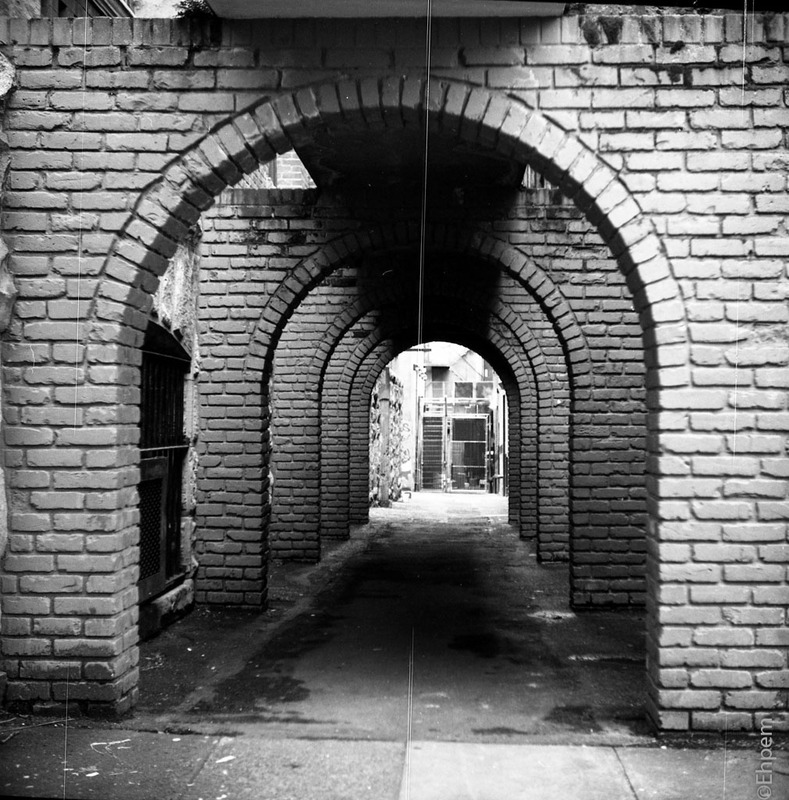 These arches leading out of Bastion Square often catch my attention as well. I like how the Rerapan has dealt with a wide tonal range here. Very nice – particularly the second image. Thanks Lynn – I like that too – it looks even better in the negative – my scanning set up loses a bit of the sharpness. I have shot that view a few times, and likely will a few times more. All those repeating shapes are worth repeat visits! These frames continue to show what the Rerapan is capable of. I have a couple 127 cameras I enjoy shooting but have shied away from the Rerapan because I haven’t been excited about the results I’ve seen … until yours. Makes me more willing to give it a go. Hi Jim, my next post has most of the images from my second roll of Rerapan in the Y44. It is somewhat less satisfactory, a bit less contrast, but some of that can be attributed to lousy scanning by me, and some to the low dark cloudy conditions that prevailed with very flat low light.